Get the 2018 Survive the Sound campaign poster! It features some of your favorite Survive the Sound characters and their names. The poster is 18″ x 24″. 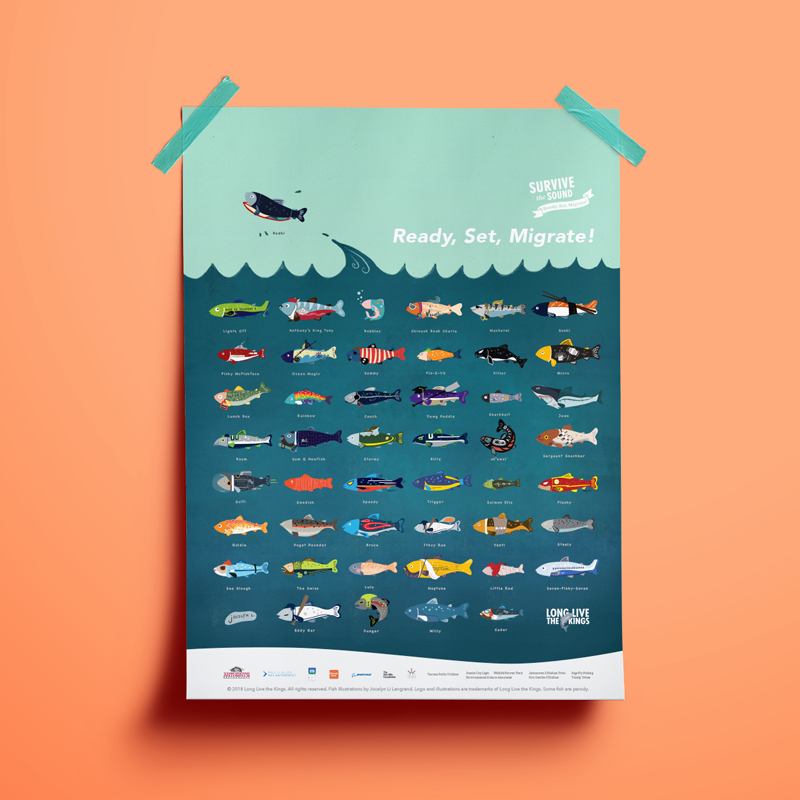 Bring these fantastic and creative steelhead illustrations from Survive the Sound to your home or office. Illustrations and poster designed by Jocelyn Li Langrand.